Aida Muluneh was a middle school student in Canada when local newspapers and magazines started running dramatic images of starving children in Ethiopia. The photos struck her as odd. She was born in Ethiopia, and the pictures were nothing like the memories she had of the country she left when she was 5. They also didn’t match the stories her mother told her of life there. The memories of these photos didn’t just stay with Ms. Muluneh, they motivated her to become a photographer as well. She returned to Ethiopia in 2007, intent on teaching and establishing a photography community. Her efforts led to Addis Foto Fest, a biennial event that unites photographers from Africa with those around the globe. The first edition — in 2010 — featured six photographers from Ethiopia. That number has grown to 35 in the current festival, which opens Thursday in Ethiopia’s capital, Addis Ababa. The exhibits also showcase the work of more than 100 photographers from six continents. 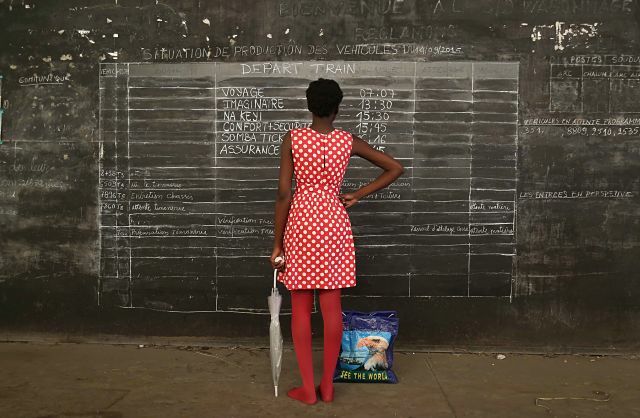 Ethiopian photographers this year include Mulugeta Ayene, whom Ms. Muluneh describes as a “strong photojournalist meticulously documenting all of the changes in the country,” and Aron Simeneh, who has also exhibited during Photoville 2017 in New York. The festival features a solo exhibit of pictures by Roger Ballen, an American artist living in South Africa, whose images range from the theatrical to the nightmarish. There is also a group show that highlights the work of photographers from around the world.